Welcome to 1313 Bailey Ave, a charming bungalow situated in the heart of Highland Park. This 2 bedroom, 2 bathroom home has been fully renovated and restored to feature clean, contemporary updates, as well as authentic finishes like decorative crown moulding, a brick wood-burning fireplace, built-ins, and original hardwood floors. The floor plan is open and spacious, yet offers separation between rooms. The large kitchen has been upgraded to include granite countertops, rich cabinetry, and stainless steel appliances and provides plenty of functional cooking space. The unfinished basement can be completed with flooring, drywall, HVAC, etc. to add additional square footage to the home. This would allow an abundance of flex space or room for an additional bedroom.The large front porch and level backyard create the perfect spaces to entertain family and friends. 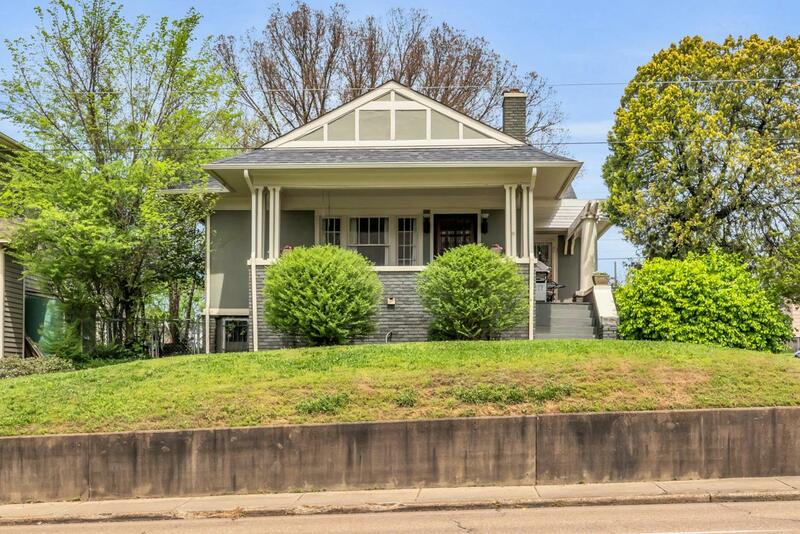 Located within minutes of downtown Chattanooga and Southside, this home is close to many restaurants, shops, entertainment, and businesses. Call today for your private showing!